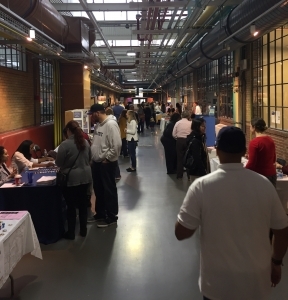 PITTSBURGH, PA – On Saturday, Pittsburgh-area schools from every sector, including district magnet, public charter and nonpublic, joined together to provide parents and families of K-12 students with information about their educational options. At the 2016 Pittsburgh Charter School Fair, 44 schools were represented to provide attendees with information about their application process, the focus of their curriculum and programming, and share why parents chose their schools. A board array of families were there to learn more – from parents with preschool age children curious about kindergarten options to parents of children in middle school looking for high school options. Parents such as LaDonna Dozier said that the fair helped her understand the many different school options available in Pittsburgh. “All parents worry about whether their child is in the right school and so many don’t even know the steps to find or apply to the right school,” Dozier said. The Fair was co-hosted by A+ Schools and the Pennsylvania Campaign for Achievement Now (PennCAN) with the intention of bringing awareness to the educational options available to Pittsburgh-area students, and help parents understand and navigate the various application processes. Amankulor indicated that PennCAN’s intention is to make the Pittsburgh School Choice Fair an annual event for families. *PPS also has neighborhood schools that have special magnet programs. 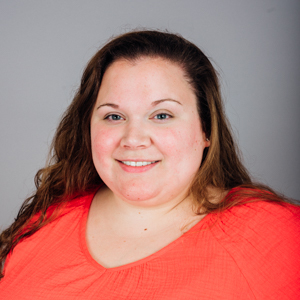 Jessica is the Public Affairs Manager at PennCAN.